The e-commerce logistics market report provides an analysis of the global market for the period from 2014 to 2024, wherein 2014 is the base year and the period from 2016 to 2024 is the forecast period. Data for 2014 has been included as historical information. The report covers all the prevalent trends playing a major role in the growth of the e-commerce logistics market over the forecast period. It also highlights the various drivers, restraints, and opportunities expected to influence the market’s growth during the said period. The study provides a holistic perspective on market growth throughout the above forecast period in terms of revenue estimates (in US$ Bn) across different geographies, which include North America, Europe, Asia Pacific (APAC), Middle East & Africa (MEA), and Latin America (LATAM). The report also provides cross-sectional analysis of the global e-commerce logistics market in terms of market estimates and forecasts for all the segments across different geographic regions. The comprehensive e-commerce logistics market estimates are the result of our in-depth secondary research, primary interviews, and in-house expert panel reviews. These market estimates have been analyzed by taking into account the impact of different political, social, economic, technological, and legal factors along with the current market dynamics affecting the e-commerce logistics market’s growth. An impact analysis of the key trends has additionally been provided for each geographic area in this report, keeping in mind the end goal to give an inside - out analysis of the situation of the e-commerce logistics market. Additionally, the report offers an in-depth analysis of the drivers, restraints, and growth opportunities for the market. These factors enable the analysis of various trends that will impact the market during the forecast period from 2016 to 2024. 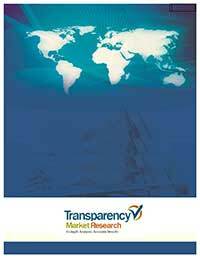 This research study on the global e-commerce logistics market provides a detailed analysis of the various types of services in the market. Based on the service type, the e-commerce logistics market is segmented into the warehousing, transportation, and others. The warehousing segment is further segmented on the basis of types into mega centers, hubs/delivery centers, and returns processing centers, whereas the transportation segment is further segmented into air/express delivery, freight/rail, trucking/over road, and maritime. The others segment includes services such as packaging and promotional services. On the basis of operational area, the market is segmented into domestic and international (cross border) e-commerce logistics services. On the basis of country, North America region is segmented into the U.S. and Canada. Similarly, Europe has been further segmented into the U.K., Germany, France, Italy, Spain and Rest of Europe. Asia Pacific has been segmented into China, India, Australia, Japan and Rest of Asia Pacific; whereas, MEA is divided into the UAE, Saudi Arabia, South Africa and Rest of MEA. Latin America has been further categorized into Brazil and Rest of Latin America. The revenue estimates for these countries is also included in the report. FedEx Corporation, DHL International GmbH, Gati Limited, Aramex International, Kenco Group, Inc., Clipper Logistics Plc., XPO Logistics, Inc., Agility Public Warehousing Company K.S.C.P., United Parcel Service, Inc., and Ceva Holdings LLC. are some of the key service providers within the global e-commerce logistics market profiled in the study. The report also highlights the competitive landscape of the e-commerce logistics market, positioning all the major players according to their geographic presence, key recent developments, historical roadmap and comparison their revenue of 2014 and 2015.